Recently I was bringing up an Arduino-like core for the ATtiny841, and wanted to test all the functionality. Testing digitalOut and analogOut was simple, though doing so for lots of pins required a bit of setup. digitalIn was also simple, but analogIn required slightly more work. As a small exercise, I decided to combine all of the required parts onto a single board. 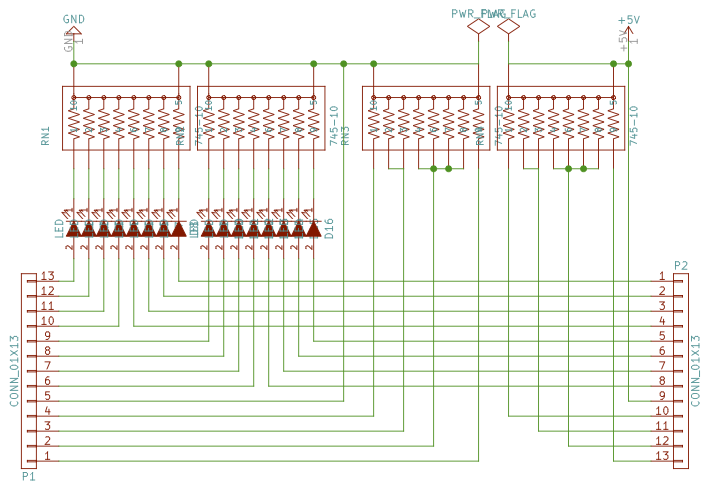 Using integrated resistor networks helped save a lot of parts. 1V as 1/5 of 5V, by connecting "1" on the "+" side and "4" on the "-" side. 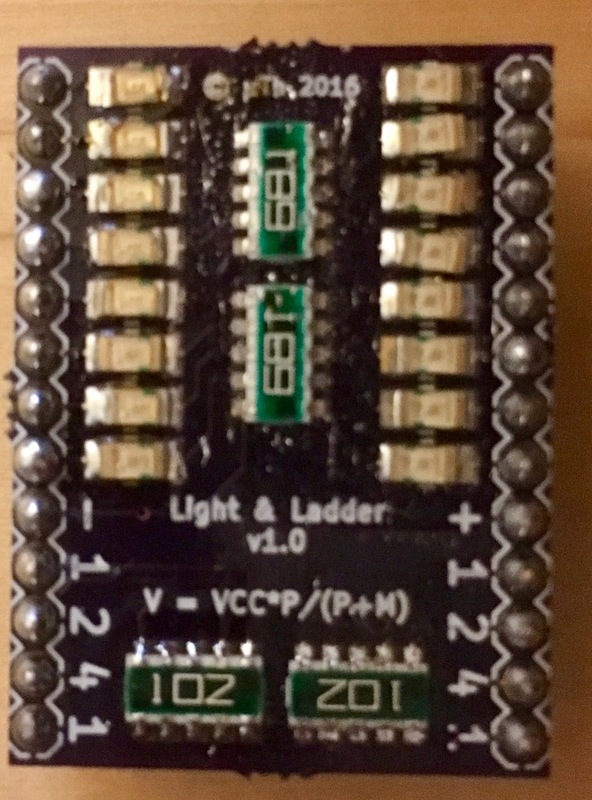 1.25V as 1/4, by connecting "1" on the "+" side, and 3 (as "1" and "2") on the "-" side. 1.5V as 3/10, by connecting "1" and "2" on the "+" side, and "1", "2", and "4" on the "-" side. Source code available on Github, boards on OSH Park.